The fastest way to earn money for charity is to hold a fundraising event. However, professional organisation of charity events is a long process that requires detailed preparation. The event plan is aimed at taking into account the charity’s wishes and suggestions as well as the size and specificity of the audience. At a charity event, you can organize contests, distribute prizes (nominations or awards), conduct sales fairs or auctions, or exchange thematic literature and other materials in order to attract the desired audience. What is expected from charity events? You do not need to wait for a good opportunity to create a charity event.You can organize event collection of donations in favour of different funds: to help children, animals, the environment, human rights defenders, people with special needs, etc. Writing inspiring text, choosing a successful theme, writing a fundraising a speech, sharing the link with friends, and supporting those who need help via social networks for charity event planning are the first steps to take. With the help of a reliable online event organizing and management platform, you may come up with various ways to make awesome non-profit events and charity evenings and successfully raise twice the funds from them. In addition, you will get a good backup at the initial stage of the event preparation, avoid common pitfalls, and increase your chances for success. Holding charity events with professional planners is a modern, convenient, and creative way to accomplish your goals. If you have just a couple of ideas that not only inspire you to create your own unique events but also easily attract new donors, that’s already a good start. If you are organizing a large-scale event such as a race, a concert, or a fair on your own, be prepared for a large number of approvals, especially if charity event planning will take place on municipal property. Do not forget to notify the local media a couple of weeks before the event. Perhaps they will be able to provide information about your campaign to the public in advance, which will allow you to gather even more participants. Most importantly, after choosing the topic and planning a successful charity event, you will have a lot of organisational work ahead of you. This has its own significant advantage. Sometimes even preparing for an auction or other event can become a tool for attracting new people to the team. Continuing to promote the event and follow up after it’s over. 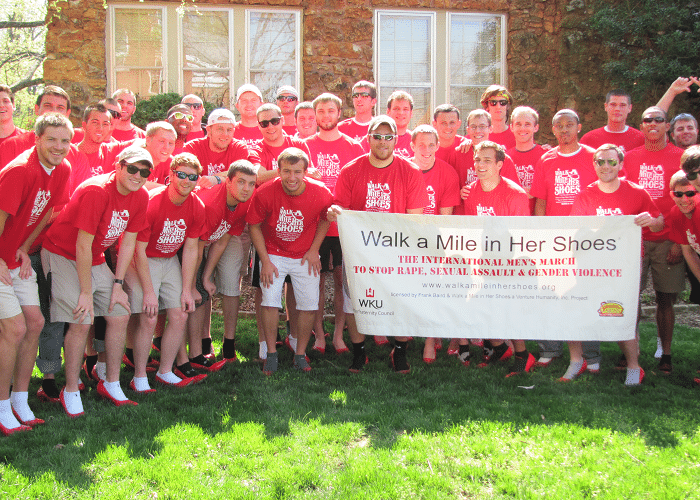 Walk a Mile in Her Shoes is an annual event held in Wisconsin by the Sojourner Family Peace Center, which fights domestic violence. Men literally have to cover this distance in high heels and thus raise money for the foundation’s program. In the second year of its existence, this event has already gathered more than 600 participants. 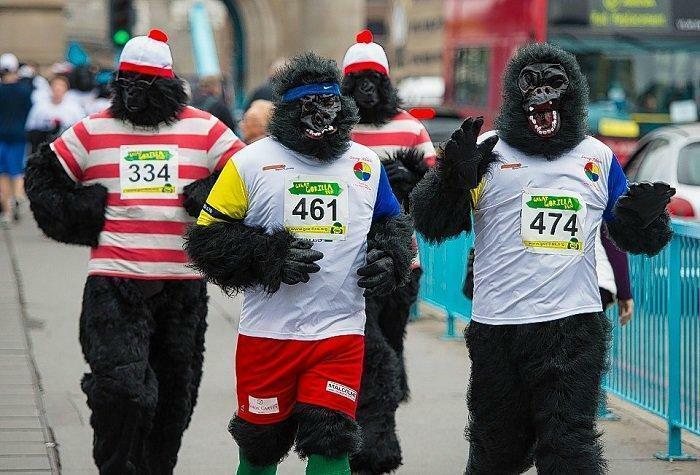 The London Great Gorilla Run is an 8-km race organized by the Gorilla Organization. In September, it was attended by about 600 people who ran in monkey costumes. Their path sent them through such significant places of the city as St. Paul’s Cathedral and the Tower of London. They all paid an entrance fee of £58, which paid for their suit. Celebrities such as Bill Oddie and Uri Geller also took part in the race. The event organisers then awarded runners with medals. This charity run raised money to help endangered animals. The total amount raised was £100,000. 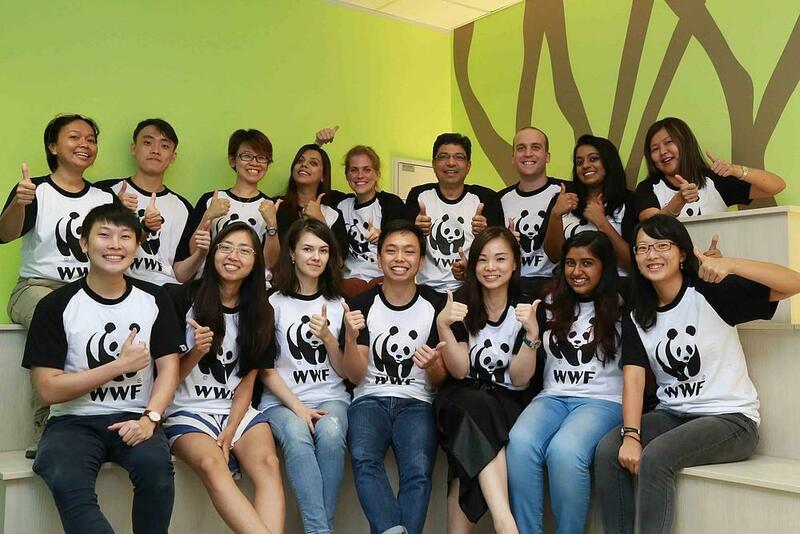 There are individual fundraising events in Indonesia, including tele-fundraising, animal rights fundraising, and major donor fundraising in Singapore. There are also good examples of how Singapore is teeming with wealth. Singapore’s economy grew (depending on which index you use) somewhere close to 15% last year. It is one of the fastest growing financial sectors, and job creation there is steady. That is why this region is also very advantageous for charity events of various themes and formats. The Heart Foundation of Western Australia ran a romantic event on February 14. 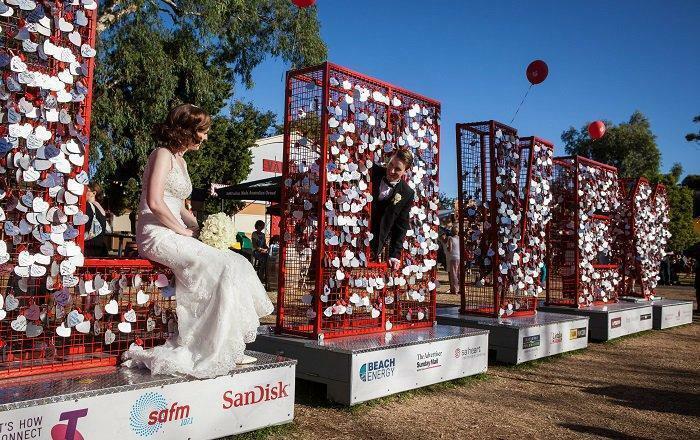 In the centre of Perth, 2-meter letters spelling LOVE were installed, on which couples could attach a special lock in the shape of a heart and write a love message on it. The $10 they paid for the lock went to the organization, which fights heart disease. Last year, the action attracted about 7,000 couples and received wide publicity on social networks due to a special hashtag they utilised. To hold a professional event and do it well, you have to spend a lot of effort, money, and time, especially when organizing a charity event. However, the result will be worth it. The energy created by mass participation in charity fundraising events will be the best experience for organizers, guests, participants, volunteers, and sponsors. During the charity event planning stage, you will be provided with the charity event plan template from GlobalSign.In and the system expert assistants, which is also very important for the charity event’s future success. They will make your event truly festive and memorable. Regardless of the subject, the number of guests invited to the charity auction, or the methods and time spent raising funds (donations), the image of your event will be the best it can be. Also, feel free to learn how to organise a charity event from our blog. Leave your comments below!